"Sitting at his feet with your door closed, your affection set on things above, pray to your Father who is in secret"
In this modernized version of “A Method for Prayer,” written by Matthew Henry in 1710, Steve Kindorf gives us an updated and readable spelling of the book, and includes all the cross references from the original. This book offers added devotional prayers and Bible study aids from the publisher/author of this new expanded edition. 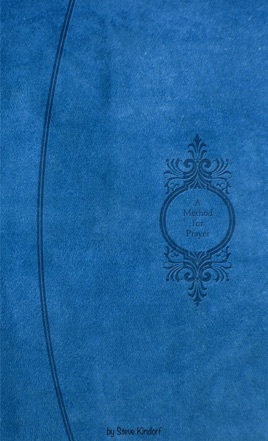 The book features a collection of 700 short devotional prayers to the Godhead of Jesus Christ called ‘My Affection’ (that is, proclamations and praises of his many names, titles and attributes; being with you in worship before his throne as you think on them throughout the day and meditate in the night watches; God has said in Philippians 4:8 & Psalm 63:6. ); a poetic setting of Psalm 119; a Glossary containing 2400 words of the King James Bible and a daily Bible reading plan. If you are looking to expand your knowledge and to grow close with God this book is a must have! I definitely recommend it and will be starting the devotions myself.